Wayfinding or leading a moving user from an origin to a target is one of the main research focuses in urban context-aware systems. Space and time are two dominant properties of the context-aware wayfinding process and spatio-temporal relevancy between the fixed urban entities and the moving users determine whether an entity is related to the moving user or not. 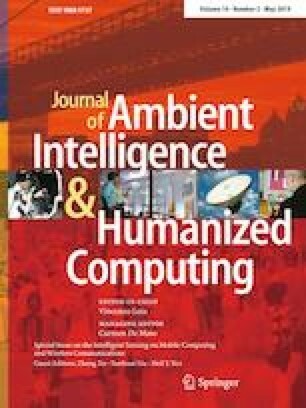 This paper specifically concentrates on the development of customized fuzzy interval algebra (FIA5) for detecting spatio-temporally relevant contexts to the user. This paper integrates fuzzy spatial and temporal intervals and customizes the spatio-temporal relations between the new data models—called fuzzy spatio temporal prism relevancy (FSTPR25) model-based on Allen’s fuzzy multi interval algebra. In this implementation, the FSTPR25 helps the tourist to find his/her preferred areas that are spatio-temporally relevant with two optimistic and pessimistic strategies. The experimental results in a scenario of tourist navigation are evaluated with respect to the accuracy of the model in 450 iterations of the algorithm in 15 different routes based on the statistical quantifiers in Tehran, Iran. The evaluation process demonstrated the high accuracy and user satisfaction of the optimistic strategy in real-world applications.